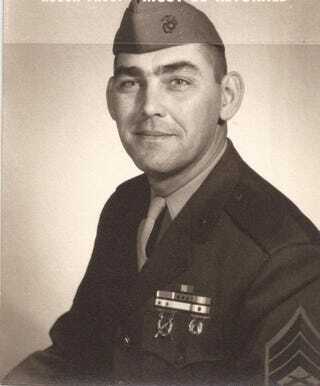 So I’m not having much luck with the fundraiser to get my mom to the memory day ceremony at the Vietnam Wall where my grandfather will be honored. Sharing just isn’t happening. I have a feeling most of my friends dropped me from their timelines as they are probably sick of missing local dog posts and dogs that need homes. That seems to be a lot of what I post! So. Any suggestions on how to get this gofundme rolling? I’ve posted in Khe Sanh vet related and USMC related FB groups and I’m at a loss now as I’m just overwhelmed with this on top of a bunch of other stuff at home. Any advice would be appreciated! And if you could share this link *anywhere* it would also be appreciated!!!! So I got in touch with my mom again last night to get more details. So they are driving down with my Uncle and Aunt on Friday the 19th. Saturday the 20th is the day of the ceremony. I know they also plan to drive to the USMC Museum. Monday morning they will drive home. They are staying at a Marriot with the other Veterans’ families, I guess they blocked off rooms at a lower rate for them as a group and they will be meeting up with each other. My mom went to quite a few Khe Sanh reunions with my grandfather, so I believe she will know some of these families and there may be activities planned? Initially, I thought they were going for a longer time and not splitting travel costs as no other family members were going. I’m going to drop the total fundraising amount to reflect those changes. I’m still going to aim it a little higher for the fees go find me takes and “just in case” money, but be more than psyched with whatever we do raise! Thank you all so much for your help, sorry I took so long to respond- things have been chaos. Now I’m going to try to respond individually! !